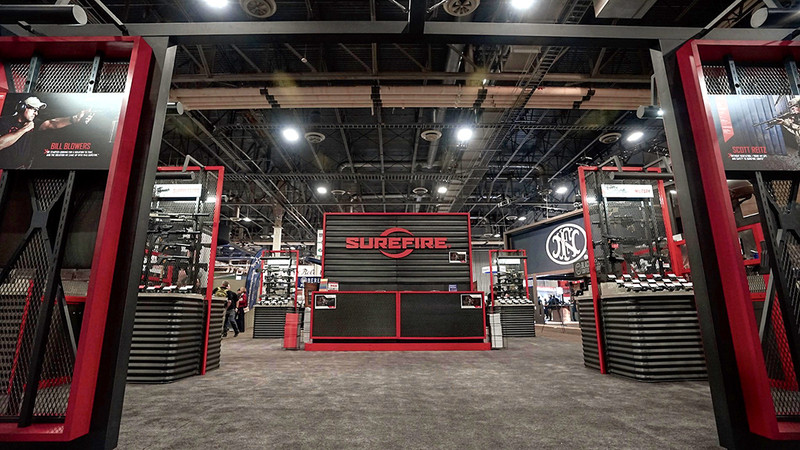 SureFire celebrated its past while welcoming the future with an all-new, 3000 square-foot booth and a host of new products at the 2019 NSSF SHOT Show in Las Vegas, reaffirming its position as the leader in tactical lighting and equipment. 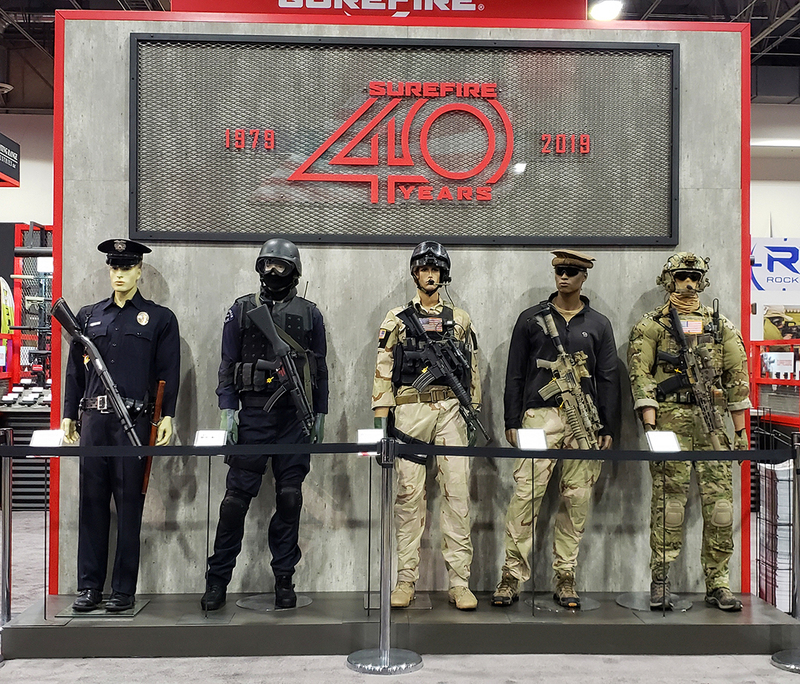 SureFire, LLC celebrated its 40th anniversary as the innovator in illumination tools and tactical gear by unveiling a variety of exciting new products, a spectacular new booth and a colorful 40th Anniversary commemorative catalog during the 2019 NSSF SHOT Show at the Sands Expo Center in Las Vegas, January 22-25. Recognized as an innovator in tactical illumination tools and tactical gear since its founding in 1979, the Fountain Valley, California-based company was on full display at SHOT Show, with its new booth presenting a more retail-oriented and inviting environment that drew plenty of traffic during the four-day event. 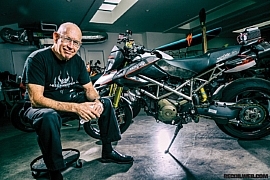 While celebrating its 40 years of accomplishment in the industry, the revitalized space also served notice that the SureFire is equally enthusiastic about its next 40 years. This unique static exhibit showcased various eras of SureFire tactical equipment as it was used by warfighters and peacekeepers worldwide. 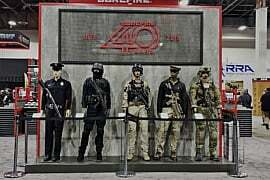 Some of the items on loan were priceless and irreplaceable, having been used in actual conflicts by their owners.SureFire’s four decades were on full display as the company featured a veritable museum of tactical kit placed on a quintet of mannequins at the booth’s front entrance. Each mannequin wore appropriate gear – much of it irreplaceable as a result of being formerly used on battlefields around the globe – from a select era in SureFire history. 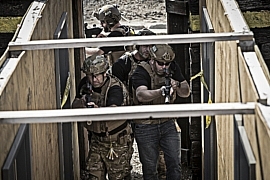 The revolutionary new XVL2 tops the list in the WeaponLight category. 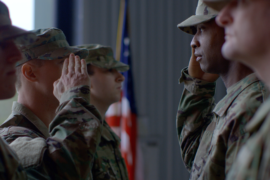 It’s the result of years of R&D, and was developed at the request of special operations customers. Compact, lightweight, and optimized for use with handguns and PDW’s, the XVL2 features a 400-lumen white light LED, a 300mW infrared illuminator, and both infrared and green aiming lasers co-aligned and slaved together for ease of zeroing in one simple step. 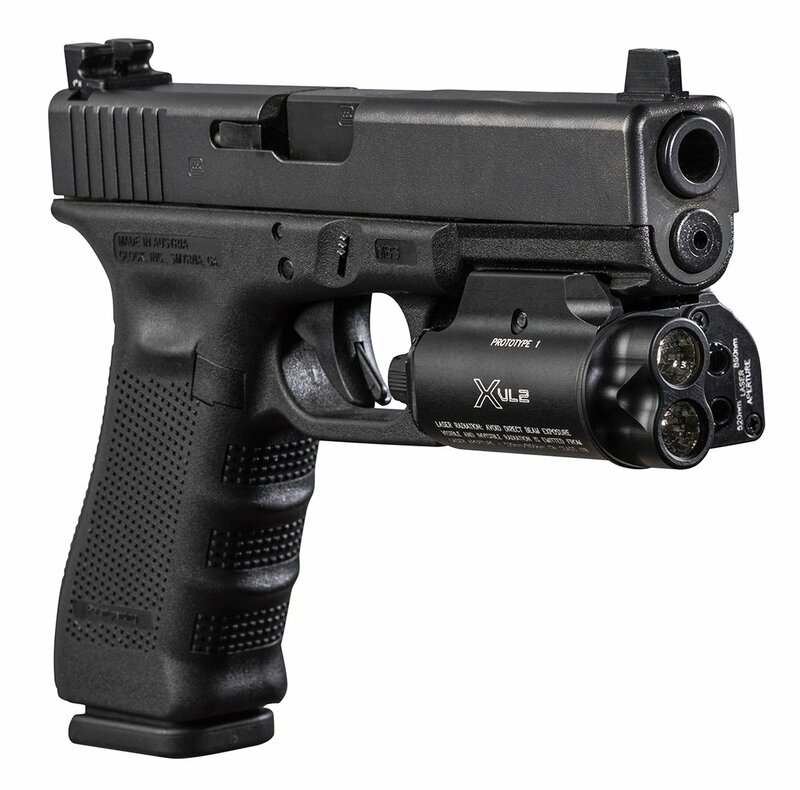 The all-new SureFire XVL2 WeaponLight incorporates a visible laser and an IR laser as well as a 400-lumen LED light. The lasers are co-aligned and slaved, which simplifies the zeroing process. 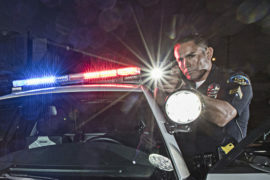 Available in a civilian-legal Class I version as well as a full-power, restricted Class IIIb model for Military and Law Enforcement, the XVL2 utilizes the same proven switching as our X300 series WeaponLights, and can be ambidextrously activated in both momentary and constant-on modes. A mode selector dial allows the selection of illumination and/or aiming lasers, as well as a low-power training setting on the full-power, restricted MIL/LE version. All this capability is powered by a single 123A battery that can be changed from the front, eliminating the need to remove or re-zero the device. Affirming its commitment to deliver new products that integrate seamlessly with the revolutionary SureFire MasterFire® Rapid Deploy Holster, SureFire also released the new XH55 MasterFire Series WeaponLight. The XH55 features the 1000-lumen LED upgrade incorporated into the XH30, XH35 and most of SureFire’s X300- and X400-series WeaponLights for 2019, but its dual output allows the user to also dial back to 300 lumens as needed. Either way, SureFire’s MaxVision Beam® technology delivers a smooth, rounded beam pattern with plenty of spill light for maintaining situational awareness. Quick target acquisition is assured by the XH55’s 5mW Class IIIa laser. The XH55G features a high-visibility green laser while the XH55R features the traditional red laser. Whichever you choose, SureFire’s intuitive switching delivers instant momentary-on or constant-on, and two selector switches on the underside of the unit give users the option of choosing white light, laser, or white light plus laser. The latest in SureFire’s MasterFire series of WeaponLights, the XH55 delivers 1000 lumens of LED white light and a 5-milliwatt laser. 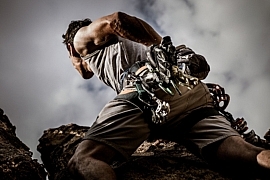 It is designed to interface with the SureFire MasterFire holster. Like all MasterFire Series WeaponLights, the XH55 is designed to index off the MasterFire holster, and it can be set so that its light and/or laser will instantly activate when the weapon is drawn from the holster and deactivate when the weapon is holstered. 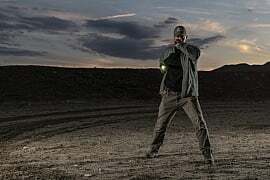 SHOT Show also marked the debut of SureFire’s new, rechargeable XR1 and XR2 ultra-compact WeaponLights, a quantum leap forward in performance and convenience within the category. The XR models deliver twice the lumen output of our XC WeaponLights along with convenient and environmentally friendly recharge capability. Small yet powerful, the XR1 delivers 600 lumens to a distance of 80 meters via its recoil-proof LEDs. The XR2 adds the option of a 5 milliwatt laser — available in either red or green — that can be used independently or in conjunction with the light for maximum versatility. 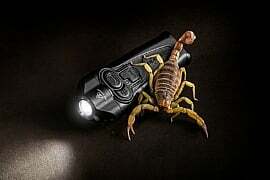 The new SureFire XR1 doubles the output of XC ultra-compact WeaponLights, delivering 600 lumens. The XR series also adds convenient and environmentally friendly recharging capability to its list of features. Optimized for the human eye, SureFire’s MaxVision Beam® technology ensures a smooth, rounded beam with plenty of surround light for ideal situational awareness. The XR models also features a new, computer-style magnetic recharging port that makes refueling their integrated batteries simple and convenient without removal from the weapon. A new rail mount features four points of contact for an added measure of redundancy and security when mounted to a weapon. Weighing a mere 2.2 ounces, the XR’s Mil-Spec hard-anodized aerospace aluminum body that’s small yet durable enough for everyday carry, with a footprint that’s nearly identical to the SureFire XC2 WeaponLight, making it an attractive upgrade for XC2 users who want more power, greater versatility and recharging capability without having to change holsters. Filling virtually the same footprint as the XC2, the new, rechargeable SureFire XR2 is a 600-lumen WeaponLight that also packs a laser for rapid target acquisition. Its intuitive switching offers the option of light only, laser only, or light plus laser. 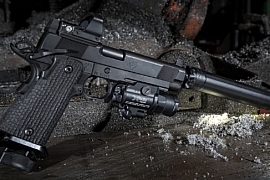 For NVG users seeking an infrared concealed carry WeaponLight, SureFire also introduced the new XC2-A-IRC. Its sleek shape comes courtesy of the same Mil-Spec hard-anodized aerospace aluminum body used for the XC2, but the XC2-A-IRC’s 50mW infrared LED light and a .7mW infrared laser make it easy to mark your target without giving away your position. 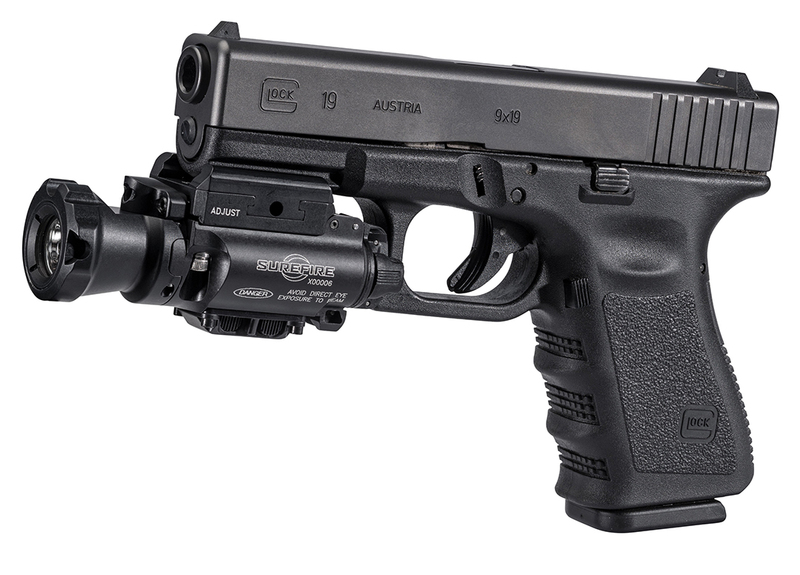 SureFire’s intuitive switching allows for fast toggling between IR laser mode or IR light plus IR laser. IPX7 certification means that the XC2-A-IRC can withstand being submerged in one meter of water for 30 minutes. 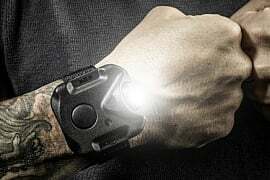 Breaking cover at SHOT Show 2019, the SureFire Stiletto Pro was so new that only a handful of prototypes were presented, but if the amount of hands laid on it are any indication, the latest in SureFire’s new line of sleek and uniquely shaped handheld lights is bound to be as strong a seller as its younger sibling, the Stiletto, which was released in late 2018. A Stiletto on steroids, the SureFire Stiletto Pro delivers 1000 lumens of MaxVision Beam-shaped light plus the versatile features of the Stiletto in a rugged aerospace aluminum chassis that is Mil-spec hard-anodized for added durability. The bigger, brawnier brother to the Stiletto, the Stiletto Pro is a high-output flashlight with a slim profile that fits comfortably in any pocket, and can be drawn and activated with ease. 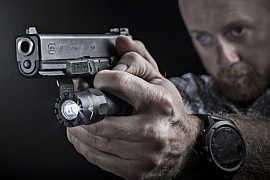 Optimized by SureFire’s proprietary MaxVision Beam® reflector, the Stiletto Pro’s 1,000 lumens of smooth, well-rounded light in high-output mode are easily accessed by the body’s primary switch or tactical tail switch, the latter also accessing an optional high-frequency strobe that is useful for blinding an attacker. Like the Stiletto, the Stiletto Pro also features a 250-lumen medium output and a 5-lumen low output, giving it the versatility to handle a wide variety of tasks, and the primary switch can be programmed to reverse the activation sequence. A rechargeable lithium polymer battery and included MICRO-USB cable charger make it easy to keep the Stiletto Pro powered up, and its Melonite®-coated, reversible heavy-duty spring steel pocket clip keeps the light secure and accessible whether you prefer to store it with the bezel up or down. The Stiletto Pro’s body is from Mil-Spec hard-anodized aluminum for tremendous durability, and it passes IPX7 water testing to one meter for 30 minutes. It’s one tough, pint-sized powerhouse. Taking SureFire’s tremendously successful Fury Tactical to an entirely different level, the new SureFire Fury IntelliBeam® combines the automatic adjusting output of our previous P2X Fury® with IntelliBeam technology and increases the maximum output to an astounding 1,500 lumens when powered by the new SureFire 18650B battery, making it a veritable pocket-sized searchlight. Like the Fury Tactical, the Fury IntelliBeam can also be powered by two 123A lithium batteries, delivering 1,100 lumens of LED white light. 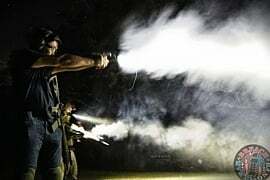 SureFire’s new Fury IntelliBeam can adjust to its environment quicker than the human eye, delivering between 5 and 1500 lumens to its target when fueled by a single 18650 battery. SureFire’s IntelliBeam technology automatically and seamlessly adjusts the virtually indestructible LED’s output to the optimal setting — anywhere from 15 to 1,500* lumens — based on your environment, so there’s never any hesitation or fumbling to manually set the output. Should you desire maximum output on demand, two simple clicks of the tailcap override the auto-adjustment function. Everything else is pure Fury, with a precision micro-textured reflector that creates a smooth, far-reaching beam with a bright central area and enough surround light for situational awareness. 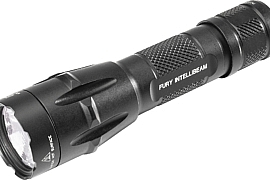 Manufactured with a high-strength aerospace aluminum body and knurled tailcap for a secure grip and Mil-Spec hard anodized for extreme resistance to abrasion and corrosion, the Fury IntelliBeam. 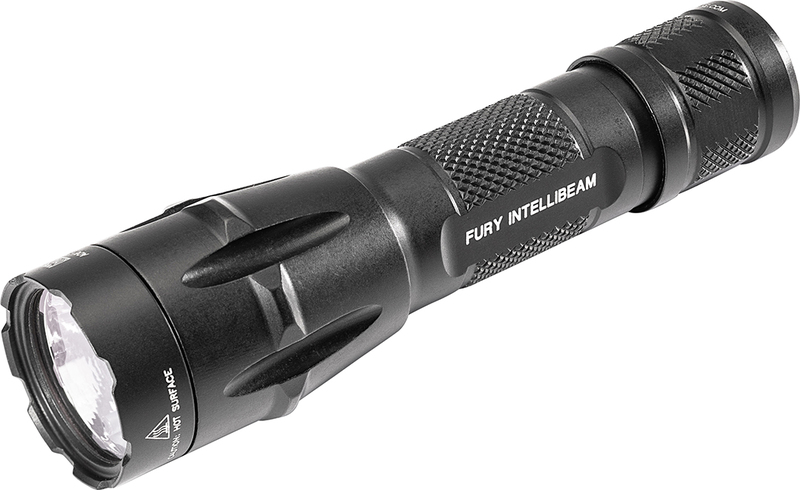 A tempered window and O-ring seals, and an IPX7 water resistance rating, make the Fury IntelliBeam light, rugged and durable. SureFire continues to expand on its line of SOCOM Fast-Attach® suppressors, and the company’s Suppressor Division didn’t disappoint at SHOT Show 2019, rolling out a new titanium model for bolt-action 7.62 mm rifles, new models for .260 caliber/6.5 Creedmoor/6 mm rifles and a new thread-on titanium model for semiautomatic pistols. 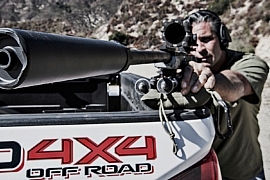 The ultimate lightweight suppressor for 7.62 mm bolt action rifles. the SureFire SOCOM300-Ti enhances Surefire’s exceptional titanium suppressor line by combining extreme light weight — it weighs just 11 ounces — with our no-compromise strength and durability standards. It is expertly designed and engineered to meet and exceed military sniper rifle suppressor specifications, making it an excellent suppressor choice for the 7.62 mm round. The SOCOM300-Ti’s robust internal design is the same that SureFire engineered to win the most rigorous and demanding suppressor trials in United States Special Operations Command history. 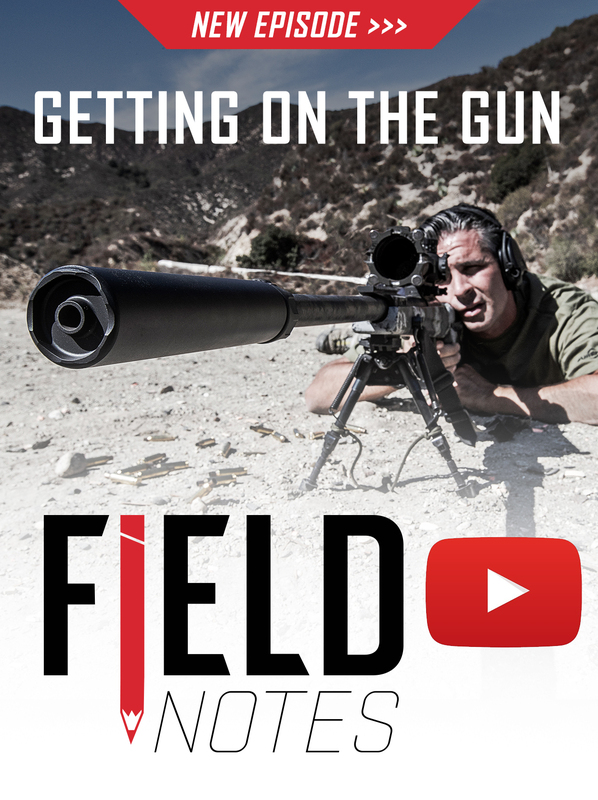 Its innovative venting technology evenly distributes thermodynamic gases, greatly reducing pressure impulse effects on the projectile as it clears the muzzle. And because it bears the SOCOM name, you can be sure that the SOCOM300-Ti delivers tremendous reductions in sound, flash and dust signature; first-round flash is virtually undetectable. 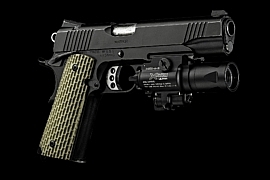 SureFire’s SureFire’s patented Fast-Attach® system allows rapid attachment/removal of the suppressor. The new SOCOM260-RC2 features the same internal technology that earned SureFire the victory in the U.S. SOCOM suppressor trials. It meets or exceeds the needs of the majority of .260 caliber, 6.5 Creedmoor and 6 mm semiautomatic rifle users. The SureFire SOCOM260-RC2 incorporates the latest in manufacturing techniques and materials to produce a class-leading suppressor that meets and exceeds the needs of the majority of .260 caliber, 6.5 Creedmoor and 6mm semiautomatic rifle users by utilizing the same technically advanced design and engineering that earned the SOCOM556-RC suppressor a victory in the SOCOM suppressor trials. It is constructed of advanced Inconel alloy and stainless steel materials that are CNC laser-welded for uncompromising durability. Inside, SureFire’s technically superior internal baffling reduces back pressure as well as sound to match supreme accuracy with extreme quiet when compared to an unsuppressed weapon. And SureFire’s patented Fast-Attach® system makes attachment/removal of the suppressor quick and easy in any environment. For precision rifle applications where maximum suppression of both flash and sound in a lightweight package is preferred. SureFire’s SOCOM 260-Ti is the optimal 6 mm, 6.5 mm and .260 caliber suppressor choice. 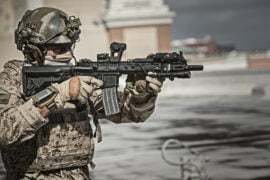 Released just prior to SHOT Show, it is constructed of high-grade titanium alloy, the SOCOM 260-Ti weighs a mere 11 ounces, adding minimal weight to the weapon. Its painstakingly crafted internal venting technology evenly distributes thermodynamic gases, greatly reducing pressure impulse effects on the projectile as it clears the muzzle. Precision manufacturing tolerances, strict attention to bore concentricity and suppressor alignment, and the versatile Fast-Attach® mounting system combine to provide the best titanium suppressor available. SureFire’s SOCOM260-Ti suppressor delivers maximum sound and flash suppression in an extremely lightweight suppressor, making it ideal for 6.5 Creedmoor, 6 mm and .260-caliber precision rifle use. 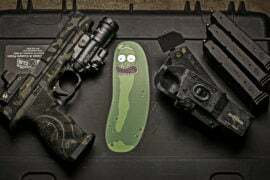 Like every suppressor that wears the SOCOM name, all three new models deliver tremendous reductions in sound, flash and dust signature—first-round flash is virtually undetectable. Precision manufacturing tolerances, and strict attention to bore concentricity and suppressor alignment, result in a suppressor that minimizes group size and point-of-impact shift compared to an unsuppressed weapon. And the proprietary Fast-Attach® mounting system provides fast, tool-less installation and removal. 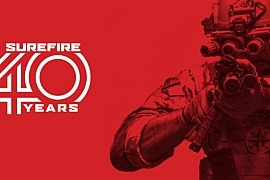 SureFire also chose SHOT Show 2019 to unveil a significantly updated version of a tremendously successful suppressor within its SF® RYDER line of thread-on suppressors, the new SF RYDER 9-Ti2 is a sleeker, high-performance 9mm suppressor that benefits from SureFire’s years of expertise in developing the ultimate suppressors. A re-engineered titanium outer tube, proprietary U.S. mill-certified stainless-steel baffles and a patent-pending booster assembly are just some of the highlights that make the SF RYDER9-Ti2 the ultimate thread-on suppressor for 9 mm. Outside, the SF RYDER 9-Ti2 features a re-engineered titanium outer tube for increased rigidity and durability. Inside, the RYDER 9-Ti2’s proprietary U.S. mill-certified stainless-steel baffles include a redesigned interface for increased accuracy and performance. Heat-treated for added durability, these baffles are numbered to permit easy disassembly, simple cleaning and easy reassembly every time. SureFire’s patent-pending booster assembly also ensures accurate suppressor alignment for improved reliability, and it features an anti-friction coating for increased performance. Titanium outer components reduce overall suppressor weight for minimal effect on weapon handling, and a high-temperature Cerakote finish — available in two colors — coats the SF RYDER 9-Ti2 for abrasion resistance. 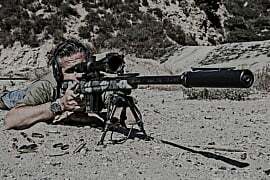 Built to exacting standards ever SureFire SOCOM Fast-Attach® and SF RYDER suppressor is proudly made in the USA. SHOT Show 2019 marked the first show appearance of SureFire’s Optimized Bolt Carrier (OBC). Invented by Jim Sullivan, one of the original designers of the M16, the OBC is designed to improve the reliability of an M4/M16/AR-variant weapon system during both unsuppressed and suppressed firing. Its proprietary long-stroke design makes numerous improvements to the standard Mil-Spec full-auto bolt carrier group by providing 60 percent more travel beyond the magazine, allowing more time for reliable feeding of ammunition from the magazine and nearly eliminating bolt-over-base malfunctions. The OBC delays unlocking of the bolt during the firing sequence, which allows expanding gases more time to exit the bore, in turn reducing back-pressure gases exiting the upper receiver group by 15 percent. Additionally, the neutrally balanced counterweight improves carrier and barrel extension lock-up, nearly eliminating bolt bounce. The OBC also reduces felt recoil for better tracking of sights and more control of the weapon when firing. The SureFire SF-556-OBC combines next-generation design and meticulous engineering to produce an optimized bolt carrier group that dramatically improves the reliability of M4/M16/Ar-15 direct impingement weapon systems. Mil-Spec bolt proof-tested and magnetic particle-inspected to meet the highest standards, the OBC is coated with an advanced anti-friction coating that resists friction during use and makes cleaning easy. Its self-lubricating, Diamond-Like Carbon (DLC) and S-Line coatings reduce friction for consistent, dependable operation in the most adverse conditions. The OBC kit includes the optimized bolt carrier, buffer spring and long-stroke, H-weight buffer. SureFire also introduced a direct-thread version of the best-selling Fast-Attach® Warden Blast Regulator designed for use with SureFire 5.56 mm and 7.62 mm muzzle devices. The SureFire Warden direct-thread blast regulator is precision-machined of rugged stainless steel, heat treated and coated with a durable Cerakote™ finish. The Warden enhances the refined appearance of any weapon with a 1/2-28 or 5/8-24 threaded barrel, protecting the barrel’s exposed threads from damage or fouling in lieu of a flash hider or muzzle brake. 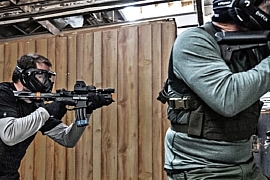 The Warden’s diffuser design directs the muzzle blast forward when the weapon is fired. Measuring just 3 inches in length, the Warden adds a mere 6.1 ounces to the weight of the weapon, minimizing any effect on weapon handling characteristics. And unlike our U.S. SOCOM-approved sound suppressors, the Warden is not an NFA device and is available wherever SureFire products are sold, without any of the restrictions associated with suppressors. 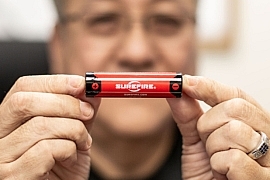 SureFire gave its high-performance battery line a jolt by releasing the new SF18650B, a lithium ion protected 18650 battery with MICRO-USB charge capability. This allows the user to conveniently charge the battery using any USB power source such as a USB wall charger, computer/laptop, power bank, or automotive USB port using the included MICRO-USB to USB cable. Additionally, an external 18650 compatible CC-CV cradle charger (not included) can be used to charge the battery; possibly at a faster rate if so equipped. 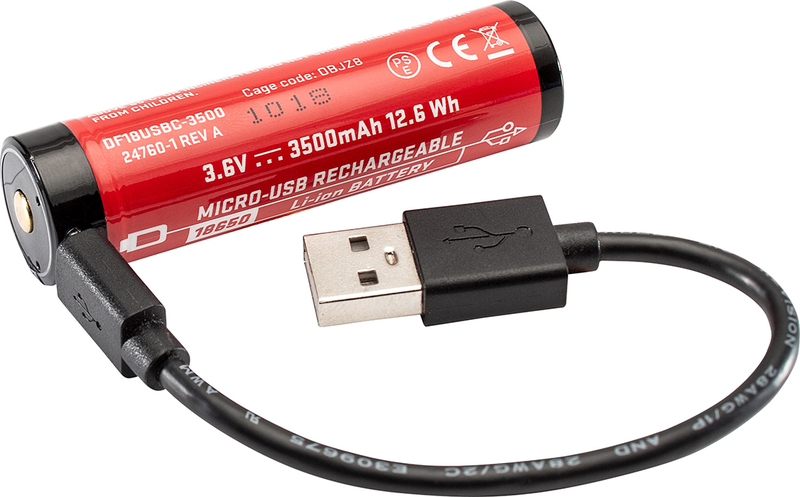 SureFire’s new, MICRO-USB rechargeable SF 18650B brings the juice with 3.6 volts and 3,500 mAh at full charge. Its 8-10A discharge rate makes it a dependable choice for high-drain devices such as LED flashlights. Power is the name of the game with the 18650B. It delivers 3.6 volts and 3,500 mAh at full charge, extending battery run time. Its 8-10A discharge rate makes it a dependable choice for high-drain devices such as LED flashlights. The 18650B will become the new OEM battery for SureFire 18650-equipped products. The EA10-UAC-ST is the world’s first high-strength polymer filter that allows for hearing of incoming two-way radio communications and ambient noises while providing high-quality hearing protection. The UAC (Universal Acoustic Coupler) is designed to be fitted to either left or right SureFire earpieces without compromising the direction of the filter or the radio acoustic tubing. 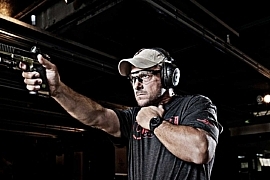 Its two-position cap provides maximum hearing protection when closed and situational awareness when open. With its high-strength polymer filter, the SureFire EarPro EA10-UAC-ST enables the wearer to clearly hear incoming two-way radio communications and ambient noises while also enjoying the security of high-quality hearing protection. The sound tube connects to a wide variety of commercially available two-way radio headsets. 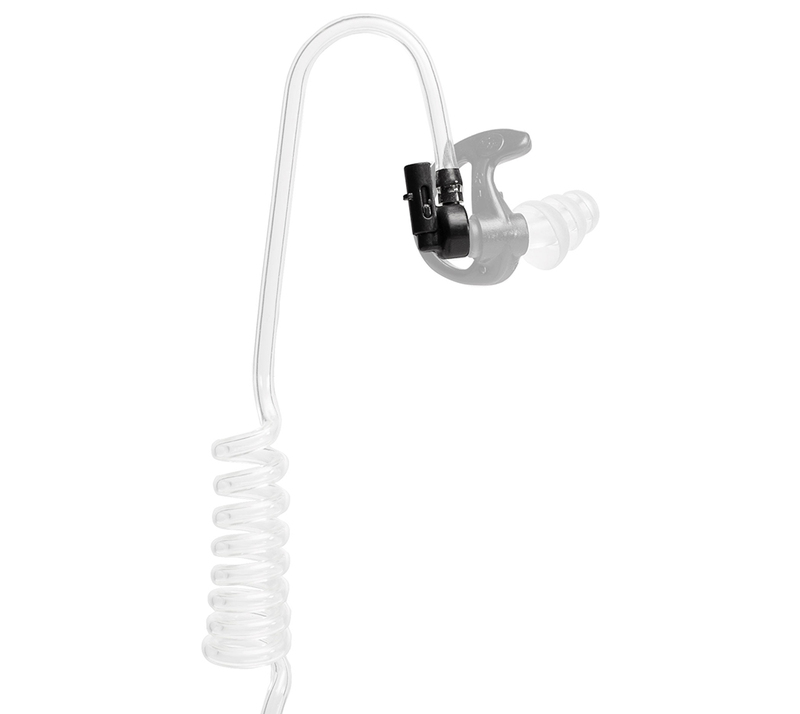 The EA10-UAC-ST’s 90-Degree ergonomic design allows more effective coupling around-the-ear tubing and SureFire earpiece noise filters, and its included quick-disconnect adapter connects the coiled sound tube to commercially available two-way radio headsets. 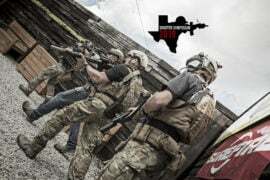 For more information on SureFire’s comprehensive line of world-class illumination tools, WeaponLights, suppressors, ear protection and more, visit www.surefire.com.